Poseidon 8K is a compact 8000 mAh portable charger. Poseidon 4K is an ultra-compact 4000 mAh portable charger. Pledge now to reserve your Poseidon, there are only 200 of each for Early Bird Special. The Poseidon features a dual-USB output system that enables you to rapidly charge two devices at once with the same charging speed as an outlet. This means quick charges on the go for all your USB-enabled devices, from the smallest smartphone to the largest tablet. 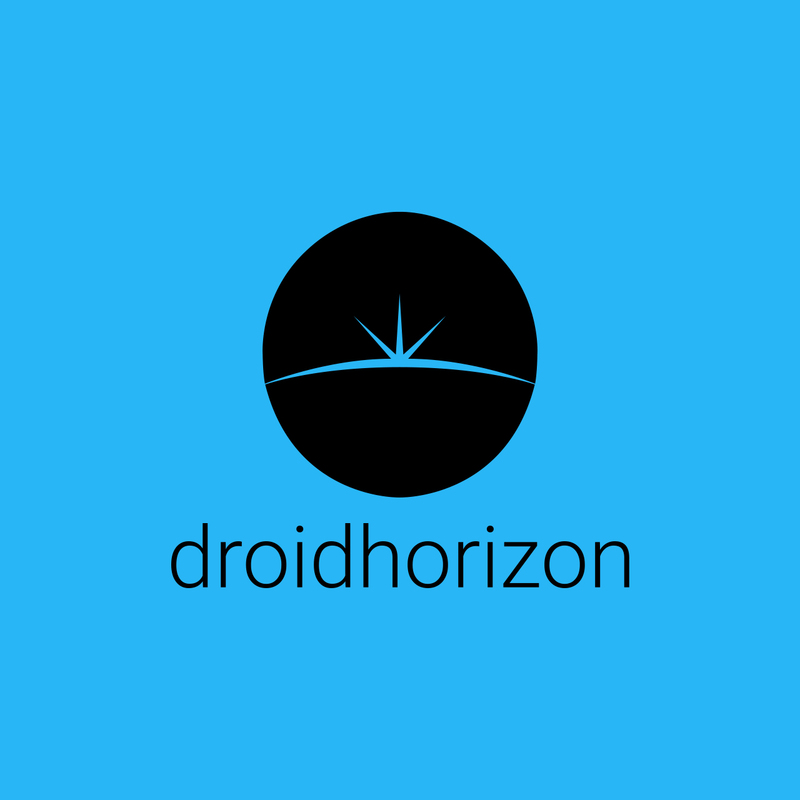 Note: Poseidon 8K ships in July and 4K ships in October, which means that you will receive 8K and 4K separately if you pledge for any of the rewards that include BOTH. Packed with 8000 mAh of power, the Poseidon 8K is able to charge an average smartphone 3-5 times to full capacity. 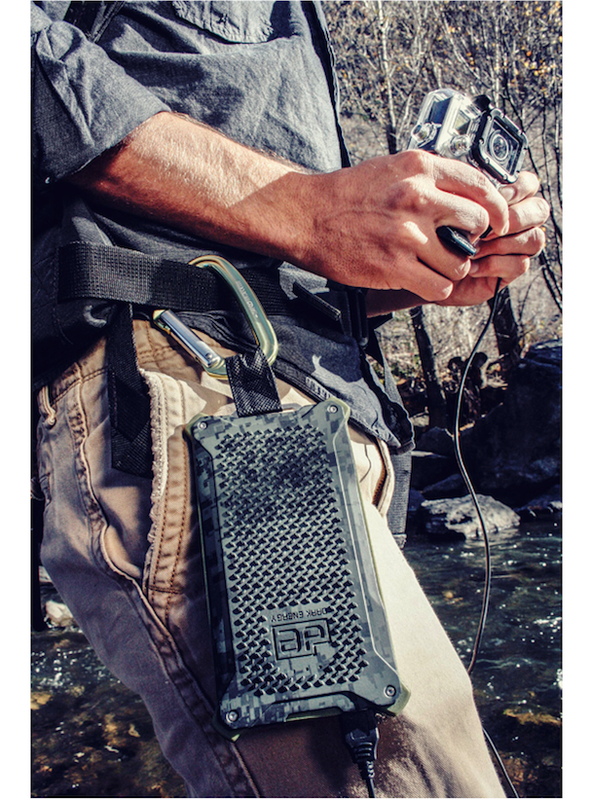 At 6.375″ high, 3.5″ wide and just .625″ thick, the Poseidon can easily slip into your back pocket. The Poseidon will also never weigh you down, weighing only 8.43 ounces. Looking for a smaller option? The Poseidon 4K provides all of the same protection and durability in a lighter, more compact size. It is approximately 4.13 inches high, 2.8 inches wide and .47 inches thick. 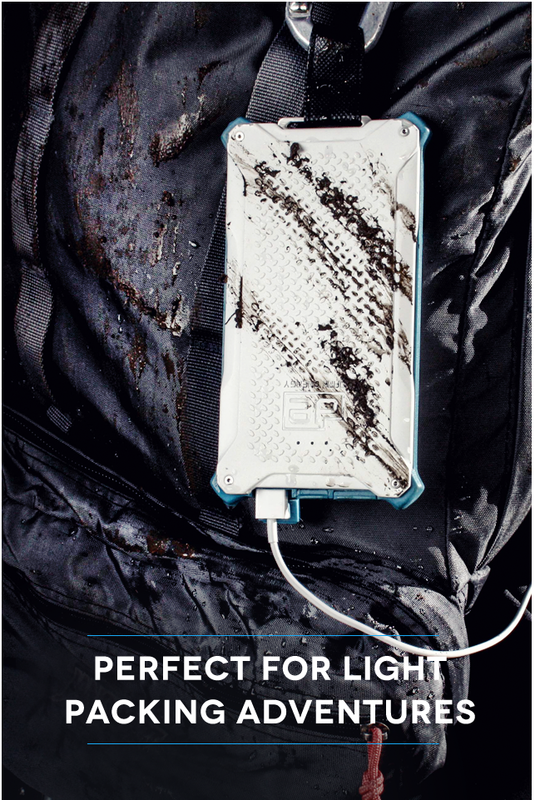 With 4000 mAh of power, the Poseidon 4K will charge your average smartphone 2-3 times to full capacity and with a weight of just over 4 ounces, it is perfect for light packing adventures. The 4K features a built-in micro USB cable and a standard USB output, so you can plug in a lightning cable to charge an Apple device or another USB product via mini or micro USB. Drops onto hard surfaces can annihilate fragile smartphones, tablets and other devices. Poseidon comes equipped with heavy-duty drop-resistant corners designed to absorb the concentrated stresses that corners face during a sharp impact. The power of Poseidon is packed between two ultra-durable hybrid polymer armor casings. These armored sections are custom designed for maximum durability and minimal size and weight. Heavy-duty internal and external shock absorbers are built into Poseidon, giving it the ability to take bumps and drops with ease. Poseidon leaves no edge vulnerable with its original “360° Edge Protection Guard.” The perimeter is made of a high-grade thermoplastic elastomer which protects every edge from anything life may throw at it. This edge guard also doubles as a comfortable rubberlike gripping surface that clings to your hand. The ability to comfortably grip your personal device is a necessity. Poseidon’s armored casings are covered with our proprietary .02″ thick Diamondtech Anti-Slip Grip. Between its perimeter 360 Edge Protection Guard and its Diamondtech Anti-Slip Grip, rest assured that this device will stay put comfortably in your hand. Poseidon attains the maximum in the Ingress Protection (IP) standard by utilizing patented technologies both on the inside and the outside of the device. It is rated for underwater submersion for up to 4 feet and up to 45 minutes. The solid plastic port cover allows Poseidon to reach the maximum in the IP standard. 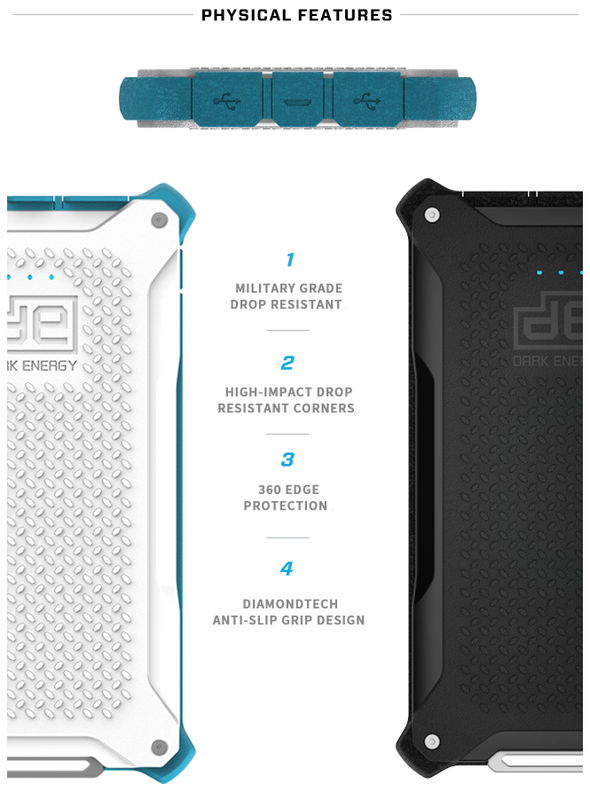 Our experience in creating compact portable chargers was proven in our past Kickstarter campaign, Dark Energy’s Reservoir, which reached funding at almost 200%. In the past year and a half, our company has matured and grown. We have learned from our weaknesses and fixed our failures. We have solidified our distribution and shipping, and are confident in those doing this work.